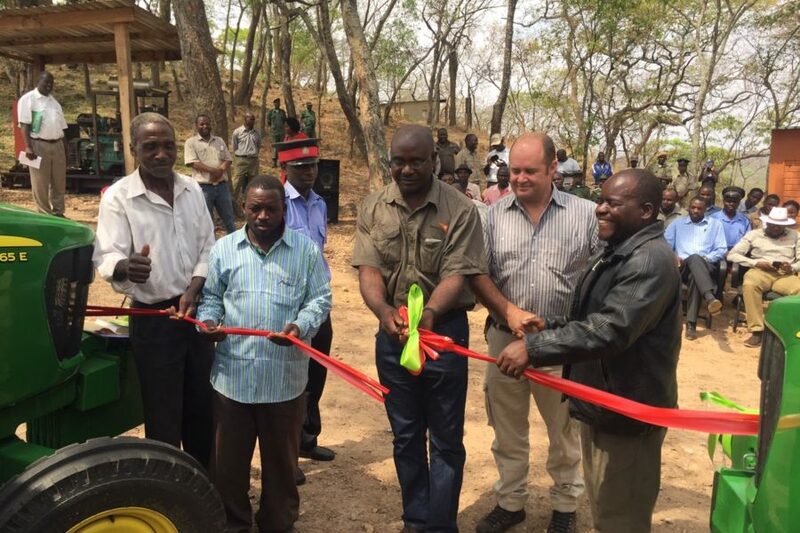 Amatheon Agri Zambia today launched a mechanisation component of its Outgrower Programme, which will see more mechanised services available for smallholder farmers in Central Province. 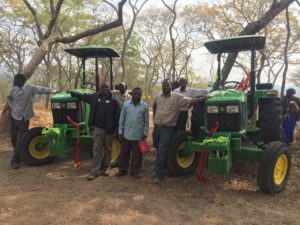 Two farmers, Mr. Passent Chizooma and Mr. Ezekia Siakasili, have received loans from Zanaco Bank for tractors and implements to be repaid over the next four years. They were identified and selected due to their impressive performance in trainings, productivity and business development. “Over the last four years, Amatheon’s Outgrower Department has worked closely with nearby smallscale farmers and we’ve seen huge progress in terms of improved productivity, increased hectarage and crop diversification. We’re very proud of the achievements to date, but farmers need to scale up their operations further,” said Amatheon Agri Zambia Managing Director, Mr. Troy Minne. “This next phase is achieved through mechanisation, and today these fellow farmers are taking a giant step forward. It not only benefits them individually, but also their communities in Mumbwa and Chibombo who will now have more access to mechanized services,” he said. Under the new mechanization umbrella, Amatheon has also introduced a loaned sheller to a farmer in Chibombo who is providing maize shelling services to farmers in his area. One can quickly see how popular these services are within the community – the demand is almost overwhelming. Amatheon’s Outgrower Programme is currently working with 13,000 farmers and aims to scale up the mechanisation component over the next three years.